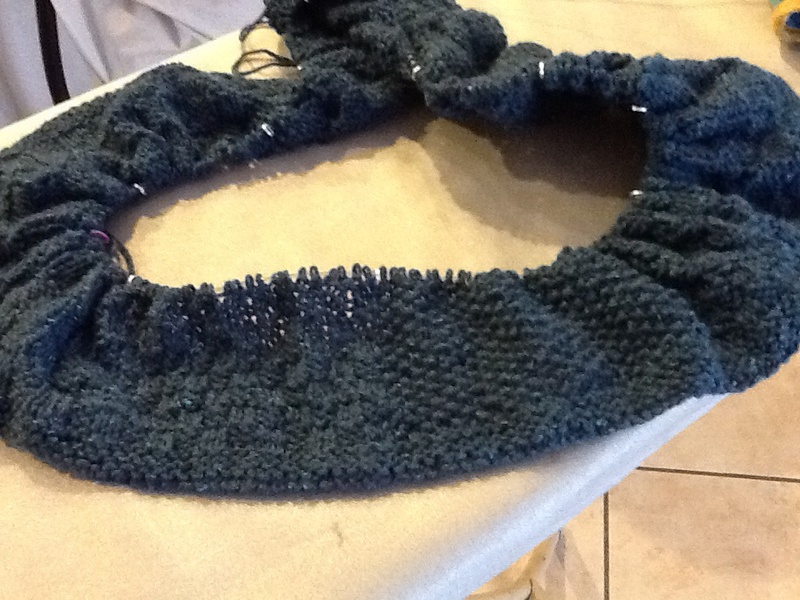 I haven’t linked up with Judy L. in a while, so today I will share my current knitting project. 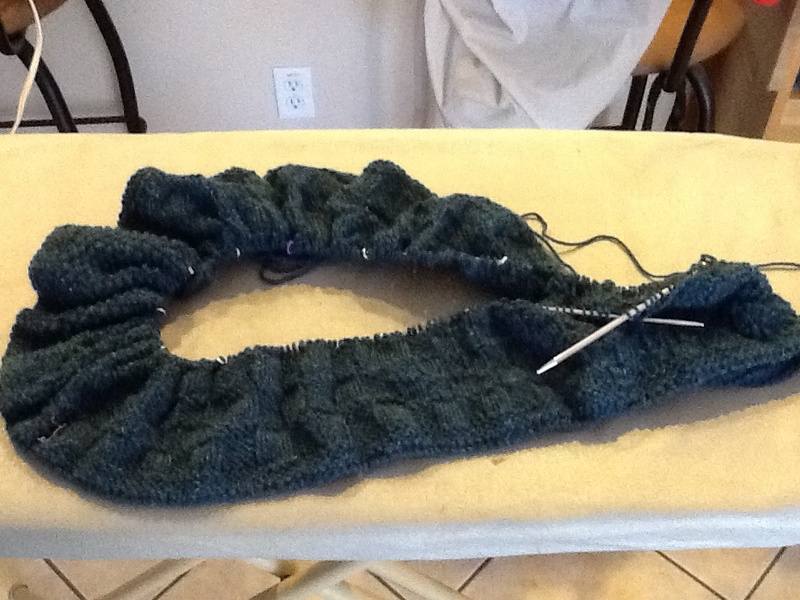 I had a huge surge of knitting mojo at the beginning of the summer, and I finished two shawls and most of a tee. August was full of temptation with several shawl knit-alongs on Ravelry, but I settled on Steve May’s Crossbones Cowl from The Fiber Factor. You can find the pattern here. I’m not sure of the measurements, I’m about two-thirds of the way done. I am using the recommended yarn, Kenzie by Skacel in the colorway #1013, a tweedy blue-teal. The various basketweave patterns make it a very interesting pattern to knit, but easy enough to memorize once you get going. I am using stitch markers between each 24-stitch pattern section and after about 10 rows of the chart I was confident enough to read my stitches and remember when each section changed from knit to purl. I keep this project in the car and I get get a round or two done each afternoon in the carpool lane.